Organic Rooibos tea (say "roy-bus") is called "African Sunset" for it's natural color and origin. 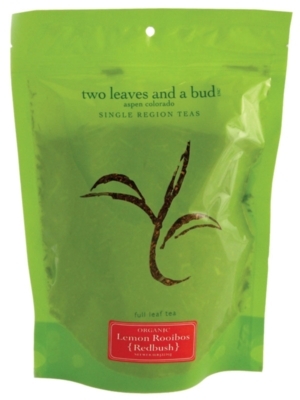 Red teas are grown in South Africa and are quite popular for their spicy, herbal flavors. A bit of lemongrass and lemon zest has been added to the mix for a final product that is bright, smooth, and carries a bit of citrus zing like morning's first sunbeam. One of Rooibos tea's many benefits is that it is naturally caffeine free, it's also packed with high contents of both antioxidants and trace minerals. All the flavor, all the health, none of the jitters; don't let the sun set on this tea without trying it yourself!. Boil & Steep time: Full boil for 3 minutes.